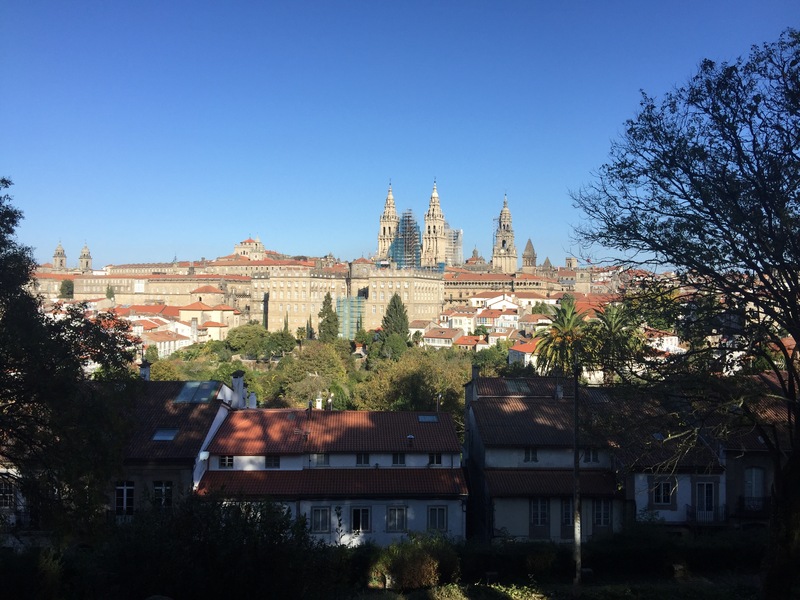 Tomorrow it will be a week since John and I walked into Santiago de Compostela. Our bodies are beginning the journey to recovery. Sure the level of fitness might drop away a bit, but I suspect doing something like this is a physical reset. 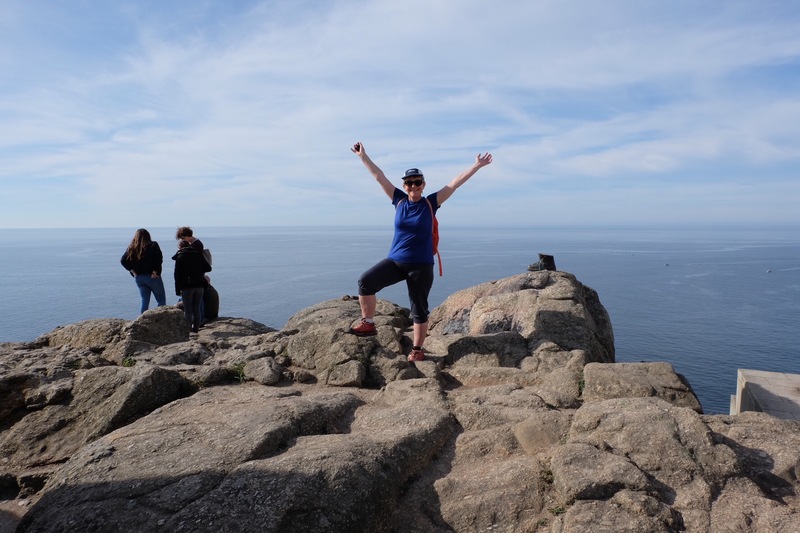 At the very least, when I think of the Camino, I no longer ask myself can I do it. I know I’ve got the physical strength and the psychological grit it takes. That’s quite something. One reader wondered what made me do this. I don’t have a clear answer, other than beforehand I suspected that the act of repeatedly doing the same thing day after day would likely be contemplative, meditative in its effect. That it would, as one graffiti artist along The Way wrote: make space for the state of grace. The long term physical exertion has the effect of silencing internal chatter, and it does so relatively quickly. As I quipped to a fellow walker, there’s nothing like the pain of blisters to keep you in the now. But walking the Camino is far from a solitary experience. More often than not, especially in the albergues, and often on the path, it’s a crowded experience. The motives for walking were as varied as the people. John remarked at one point that it’s a bit like being on an active cruise, and he’s right. For some it’s a sporting event, others see it as the trendy thing to do, many are making a religious or spiritual pilgrimage. I was surprised by the number of women who told me they thought it was a safe activity for women to do on their own. For myself, I doubt that it is any safer than most other travel activities. Sadly, as is the case anywhere women on the Camino de Santiago need to be vigilant. People of all sorts and types walk the Camino. John and I encountered bullies, the snide, the creeps, those who were only too willing to tell me how to make my way; there were braggarts, and, sigh, those who openly made a play for my beloved right in front of me. All that made me wonder about the benefits of a silent retreat. At least in such an environment one would be less exposed to the vagaries of others, although more exposed to the vagaries of the self. And that, I don’t doubt, is likely even more challenging. The meditative state the walking induced in me did increase my vulnerablility to the less commendable attributes of fellow walkers. Sometimes I wondered whether that was a good thing. A week later I’m sure it was, even if it was uncomfortable. Along The Way we also met the thoughtful, the gentlest and kindest and most generous of souls; the prayerful, the friendly, and those who were always cheerful despite their enduring pain. They are the people I’ll remember. They are the people I’m grateful to have met, they are the ones who taught me the most, the ones who were like a salve to my soul. My prejudices, my weaknesses, and my greatest strengths have all had the brightest of lights shone on to them. I’ll be growing from that for a long time. For me that’s what a pilgrimage is all about. We’ve followed in the footsteps of millions, those who’ve walked this way for more than a millennium. I suspect The Way has always been the same way and for me that is both consoling and redemptive. “Make Space for the state of grace”. I very much like this line. I did the Camino in 2015 and it still resonates inside of me. I recognize many of my thoughts in your text. How this one daily simple task calmes you for example. You and John were some of the kind, thoughtful, gentle, interesting, inspiring, and lovely people I met on The Way. I think of you both often and am so glad that we got to share just a bit of time together. Congratulations on this fantastic achievement Jill (and John). I’ve enjoyed following along on your journey and reading your thoughtful, articulate reflections. Like Anabel, I am full of admiration for you both. Ah, Jill, what a lovely ending to the journey. All along, I was wondering what you were learning. I expect it will take some settling in to get the full extent, but I liked what you wrote. Thank you for taking me along. My admiration for you both is total … and I miss the vicarious journey already! You made it to the end and beyond! It is great to see that Finsterre in your photos looks like today’s view of Hawke Bay! Which leads me to quote …. A wonderful accomplishment and one you will always remember.. i truely enjoyed ‘being with you’ along the way. Congratulations on your immense achievement. Such determination and perseverance. I can’t imagine the day to day stick-with-it-ness that would be required. Sorry to hear about the not so wonderful folks and thank goodness the kind and helpful souls outnumbered them. 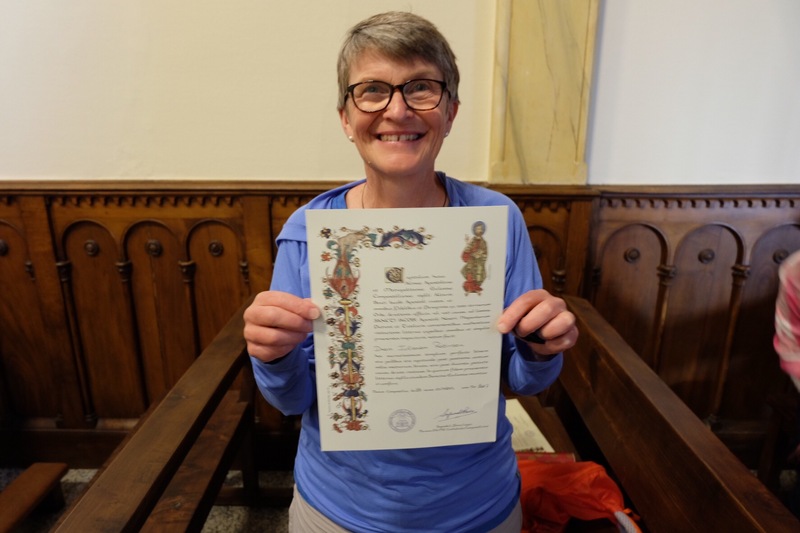 Jill and John – massive congrat again….nothing beats the compostella in thy hands, especially when you started at the REAL beginning. !. Take a double bow Jill for each and every day writing your blog. 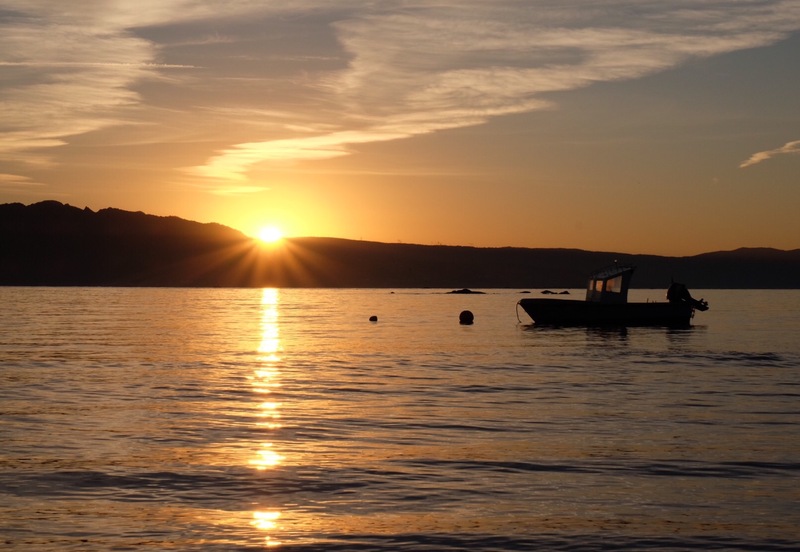 This takes time, energy and commitment to do this, and add in photos…its has been truly wonderful to read (and see) your daily reflections, including this one. No matter the hardships,challenges and struggles, the pluses, positives and take away life lessons will always shine the brightest light. 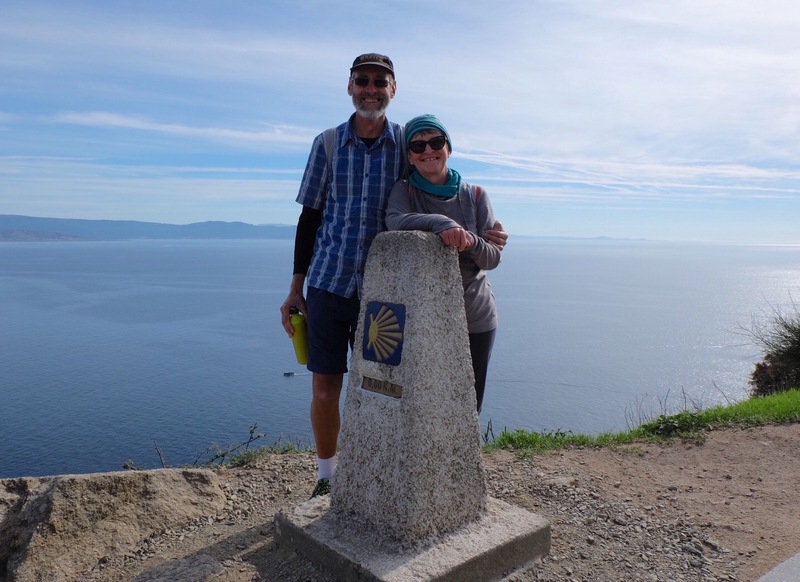 Have a think about the Camino del Norte next …….keep smiling and rejoicing in what is an inspiring achievement. I am so pleased you have given us these final thoughts on your great achievement. You have well and truly earnt your compostella. 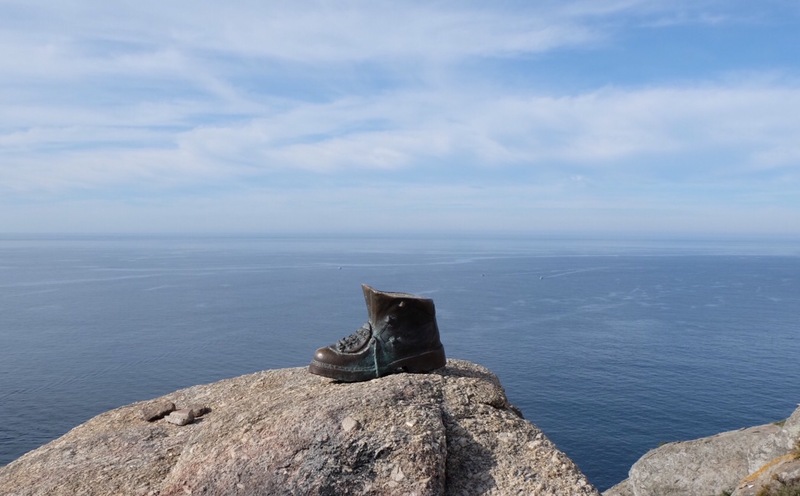 Thank you for finding the time and energy to post each day, I looked forward to the daily report and realise how hard it must’ve been to do at the end of a hard day of walking. So what now I wonder. I’m sure you must be already thinking and planning your next adventure. I am full of admiration for you guys completing the walk, and documenting it so well along the way. Love the photo of the boot. It has many meanings, like a shy poem. I am glad that your journey ended safely, with memories and thoughts that will shape your life forward. Be safe, be happy and healthy, and thanks for sharing it with us. Congratulations, Jill – such an amazing accomplishment. Very proud of you guys. Congratulations! That’s really wonderful. An experience to last a lifetime. And I loved this sentence: “there’s nothing like the pain of blisters to keep you in the now.” So true! Yes, congratulations are well deserved and thank you for giving us a review on your thoughts about the trail. I admire your determination.